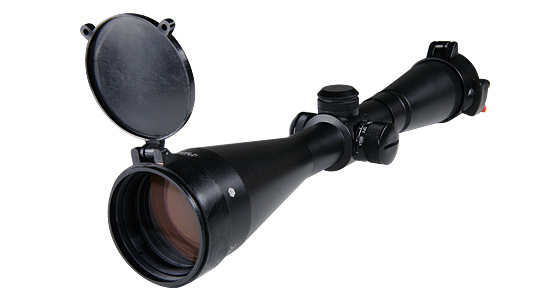 The scope P8x48 is similar to P8x56 by its specifications, but it is equipped with an objective of a smaller diameter. It reduces its weight and allows placing the scope into the arms without a high mount. P8x48 has got a multiple antireflection coating of the lenses, like all the Pilad scopes. It is also water and dustproof. Illuminated red reticle of P8x48L has 9 brightness levels.